There are two ways that we can walk through a day. One is to walk by sight and the other is to walk by faith. If we walk by sight we can easily become discouraged, disappointed, and downhearted. To walk by sight means to evaluate our day by what we see with our eyes, hear with our ears, and know in our minds. To walk by sight means to allow the "reality" around us to impact our thoughts, our motivation, and our emotions. A large percentage of the "walk by sight" information that influences us in our day is negative. Anyone who tunes in to the evening news or reads a newspaper finds very little that brings a smile. 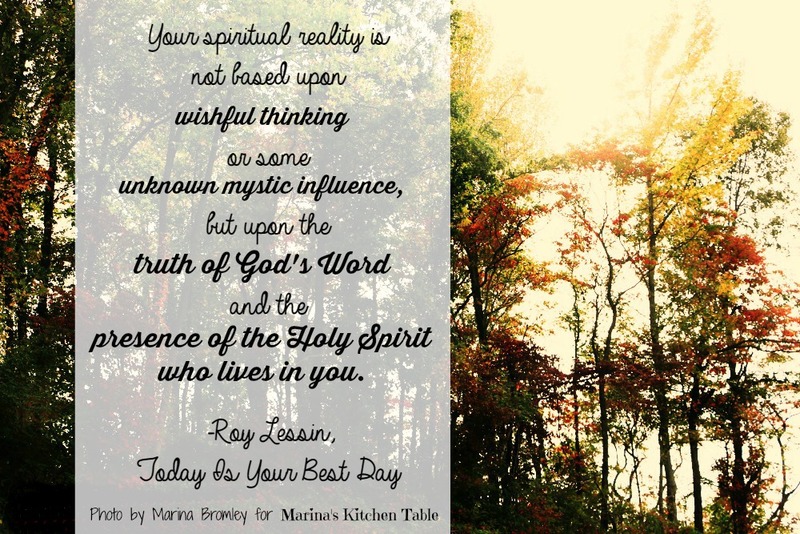 When we walk by sight we can allow anything or anyone to influence the kind of day we are having - the weather, the traffic, the long line at the checkout stand, a problem with our computer, a drop of ketchup on our shirt, or a leaky faucet under the kitchen sink. To walk by faith means to walk in a different kind of reality. The Bible tells us that there are two realities (2 Corinthians 4:17-18). One reality is what is seen; the other reality is what is unseen. There are two realities because there are two worlds. One is the physical world; the other is the spiritual world. The physical world is the temporary world; the spiritual world is the eternal world. Today, as a believer and a follower of Jesus Christ, you live in both worlds. Through your senses you connect with the physical world around you, and with your heart and spirit you connect with the spiritual world within you. Your spiritual reality is not based upon wishful thinking or some unknown mystic influence, but upon the truth of God's Word and the presence of the Holy Spirit who lives in you. Today Is Your Best Day is available at most online book retailers.